Located less than 25 miles north of Downtown Houston, Metro Self Storage is the only mini storage facility in Kingwood to offer temperature-controlled wine storage. Whether you fancy yourself as a sommelier or are just starting a wine collection, finding a place to protect your investment is especially challenging thanks to Houston’s wild temperature variation. Everyone knows that high temperatures spell doom for a bottle of wine. Houston-area wine collectors have found out the hard way that merely placing a rack in an air-conditioned room at home can be the worst possible storage solution. Houston weather is notorious for being unpredictable, and temperatures fluctuate wildly during summer months. Ideal wine storage environments are dark, stable, and cool— about 56°F (13°C)—and let’s face it, none of us keep our homes that chilly. 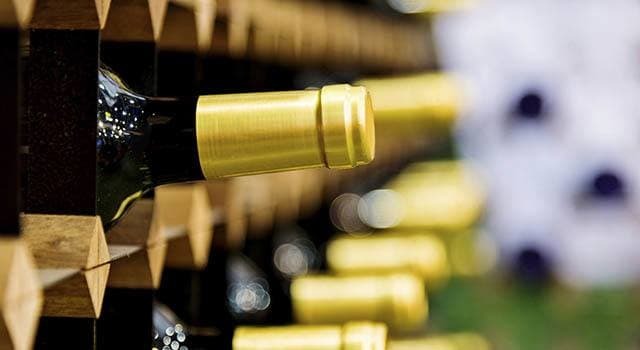 Metro Self Storage offers wine enthusiasts a designated wine storage building that only our wine storage customers can access. Our temperature-controlled environment keeps your wine collection correctly stored at 56°F, and motion sensor lighting ensures it stays dark after you leave. Our conveniently located Kingwood Wine Storage facility is ideal for wine collectors who do not have or want to maintain a cellar, storage overflow for bars and restaurants, or temporary wine storage for a wedding or other large celebration. Whether you belong to Napa Valley Wine Clubs, or have figured out how not to cook your wine in the trunk of your car when transporting it home from the Texas Bluebonnet Wine Trail, finding a safe place to store your wine collection is easy thanks to Metro Self Storage in Kingwood, Texas. For unbeatable peace of mind, our Resident Property Manager lives on the premises to keep an eye on things day and night. Our wine storage building also features a dedicated security camera. We invite you to call us or stop by during office hours to find out more about your Kingwood Wine Storage options.